Of all the major “alt-coins,” the alternatives to Bitcoin that have sprung up this decade, none has been more focused on becoming “real money” than Ripple (CCC:XRP-USD). Ripple isn’t “mined,” but verified. It’s designed to bypass the fees found in converting currencies. For example, where the exchange rate may be 111 Yen to $1, travelers would get just 99. Ripple was born with big backers, like Alphabet’s (NASDAQ:GOOGL) Google Labs. It has worked extensively with banks around the world, and its business plan remains to integrate its technology into existing payment systems. So, if any alt-coin is going to stabilize, you figure it will be Ripple. If any alt-coin is going to become a medium of exchange, rather than a speculative asset, it will be Ripple. The reason, as I explained back in February, is that cryptocurrency is a market dominated by Asian speculators. Americans may act as cheerleaders and technology innovators, but the people buying and selling cryptocurrency are, for the most part, Asian investors. The latest fall comes alongside an unexplained rise in Tether (CCC:USDT-USD). Tether’s value is supposedly tied to the U.S. dollar but its sponsor, Bitfinex, is in Hong Kong and has never been audited. Tether is often used to arbitrate trades, because of the supposed dollar tie, and Bitfinex has been accused of using it to pump up cryptocurrency prices. 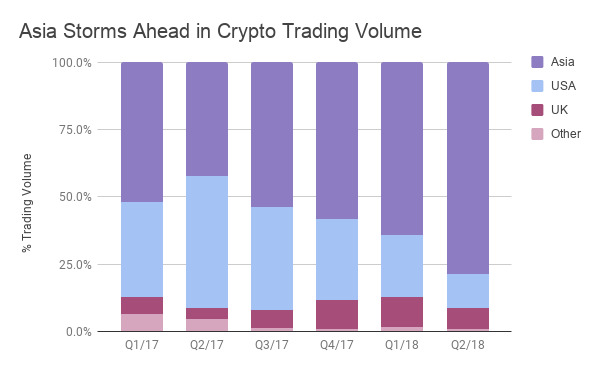 Cryptocurrency remains thinly traded, mostly in east Asia, and the value of all so-called “alt-coins,” like Ripple, remain correlated with that of Bitcoin itself. As this was written, Bitcoin still represented 48.6% of the total market. It is the strongest of all the crypto-coins, by far. The total value of Ripple, $14.4 billion, is a little more than 10% of Bitcoin’s valuation, $114.3 billion. Until Bitcoin stabilizes, none of the other alt-coins, including Ripple, will be able to find stability, and it is stability that is necessary for Ripple to become a medium of exchange rather than a mere speculative asset. If Intercontinental Exchange (NYSE:ICE), owners of the New York Stock Exchange, can’t create stability in the Bitcoin market — and the price of Bitcoin has fallen over 10% since they announced their interest in that — it’s hard to see any alt-coin, including Ripple, finding the stability it seeks. 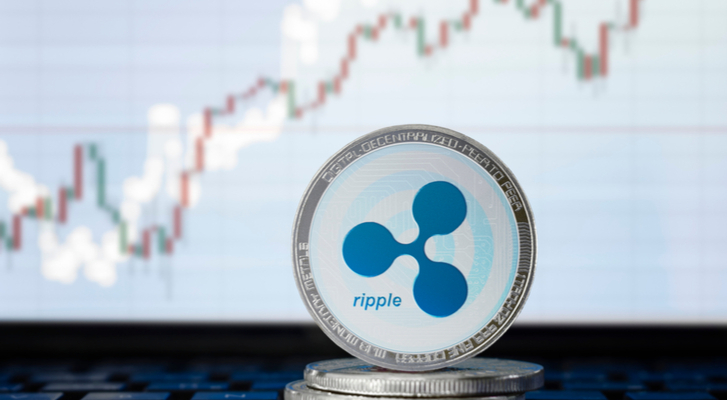 Article printed from InvestorPlace Media, https://investorplace.com/2018/08/ripple-continues-to-be-no-different-from-other-cryptocurrencies/.